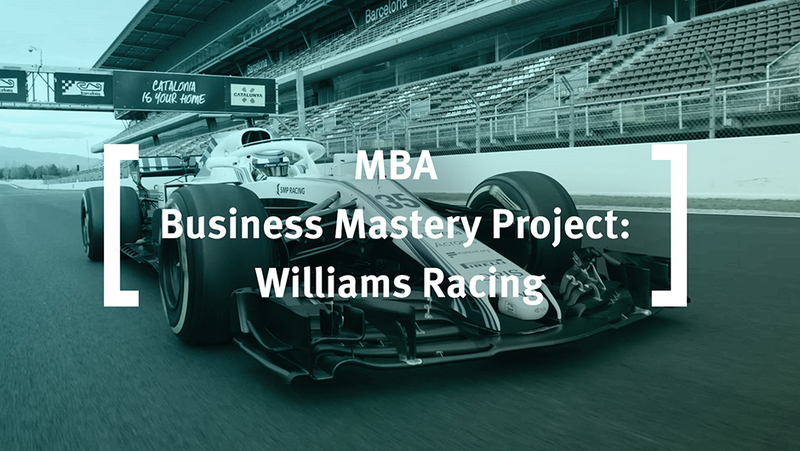 Cass Business School MBA student Harry Wang secured an exciting internship opportunity at Williams Racing through the Cass Careers team and MBA Business Mastery Project. As the final piece of work for your MBA you will undertake a Business Mastery Project (BMP). This is a major piece of self-managed business consultancy which counts substantially towards your final degree mark. This is your opportunity to engage directly with an organisation to define a real world business question or challenge, and then to analyse, evaluate and recommend solutions. This can support you to develop your profile within an organisations or in industry sectors of interest, and to develop an authoritative voice on a crucial business topic. It is an excellent way to deepen expertise, create new networks and career opportunities. You can either source your own project or select a project offered by companies via the Careers and Professional Development Centre. Taking place over the summer, the project can be centred around a summer internship. Sponsoring companies use this opportunity to road-test new talent, whilst you can use this as a platform to consolidate your experience in a particular field which adds value to your CV and could lead to your next career move. Previous BMP’s have tackled a variety of business problems across a wide range of commercial, industrial, public sector and not for profit organisations around the world. Researching real estate disruptors based on big data and analytics for a digital consulting firm.